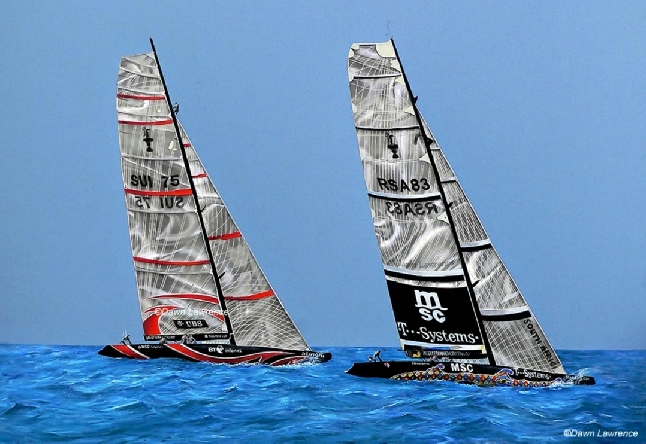 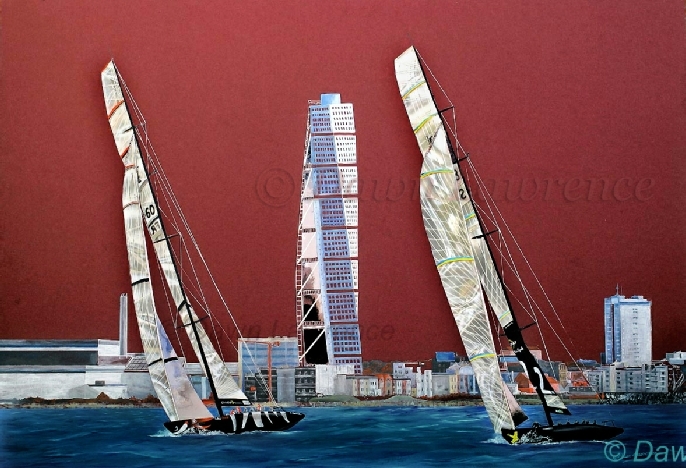 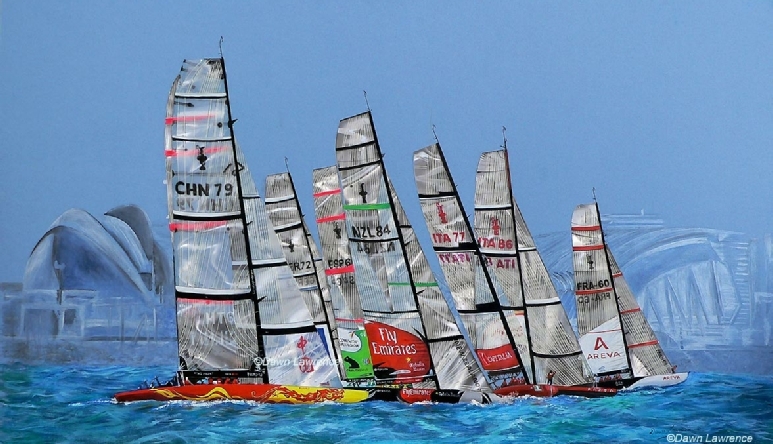 the venues for the 32nd America’s Cup. 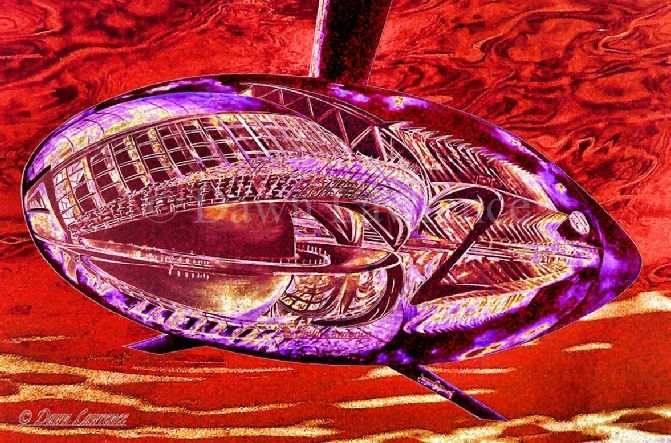 and cutting edge design. 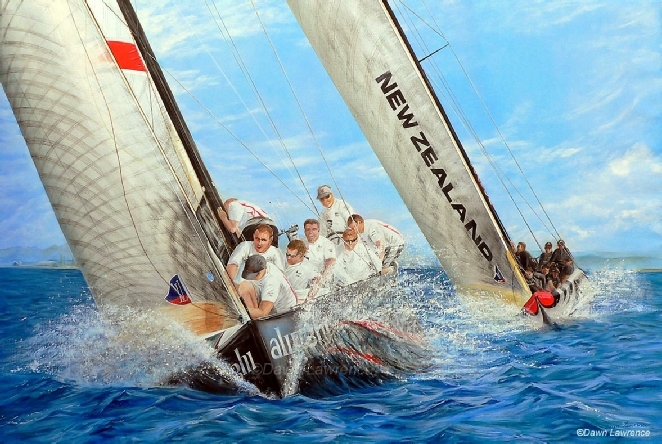 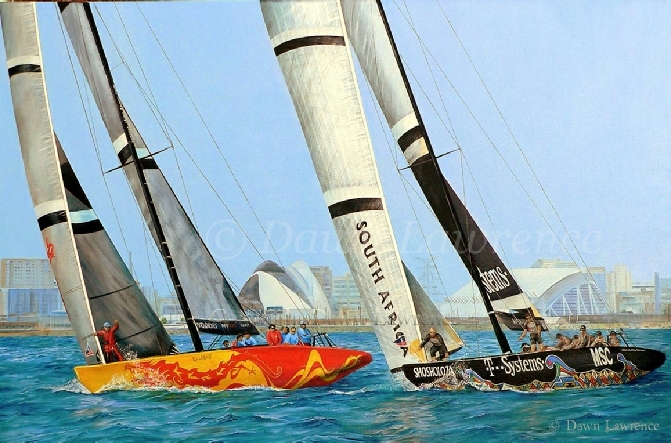 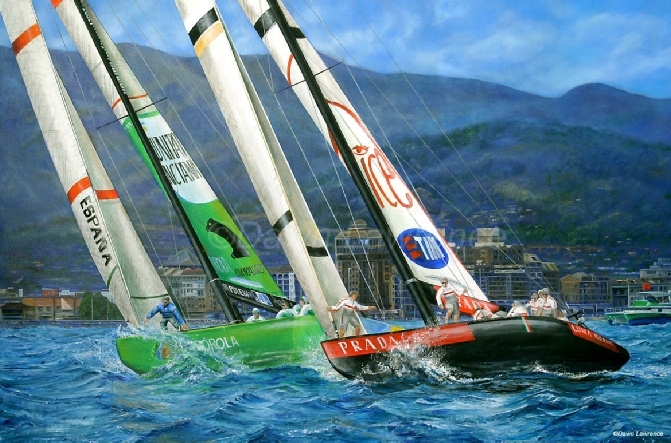 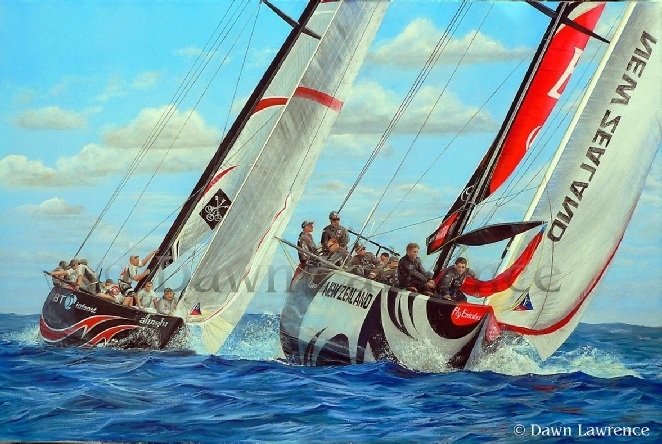 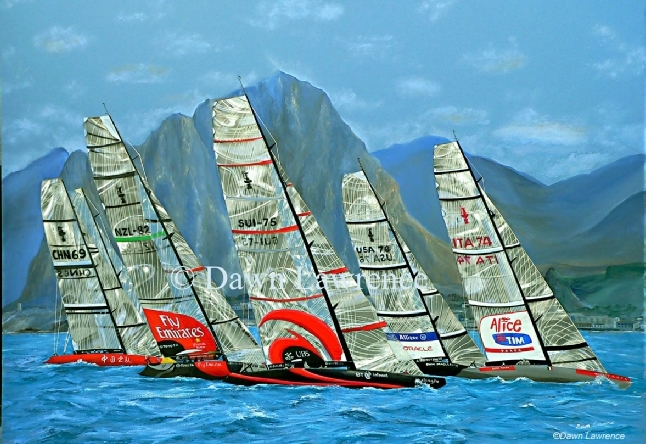 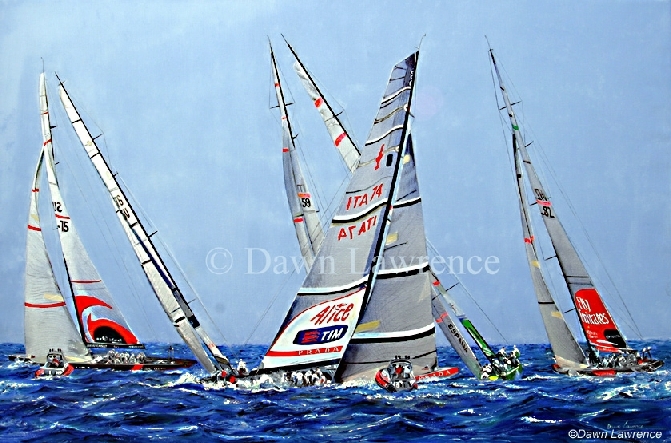 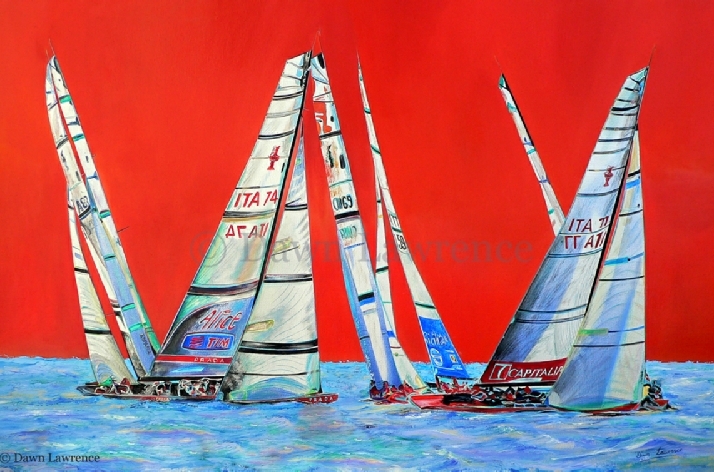 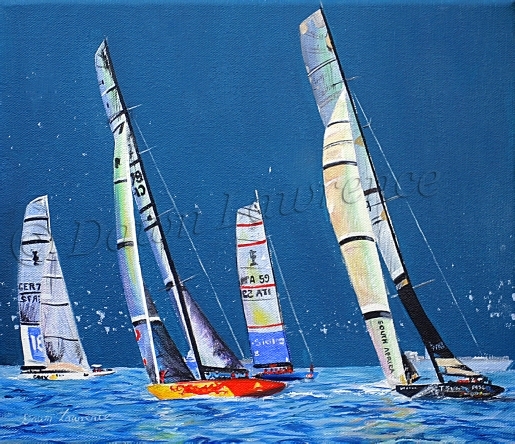 Dawn Lawrence witnessed each act and recorded the racing in a blaze of colour and modern style that fully captures the extraordinary quest for sailing excellence in the 21st century. 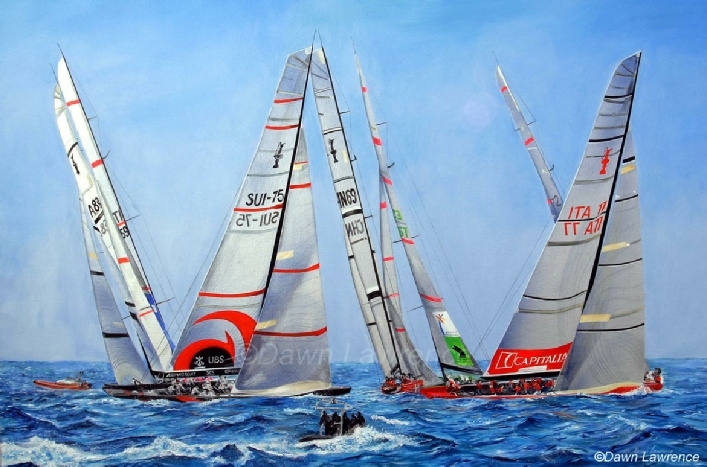 All painting sizes are actual image size. 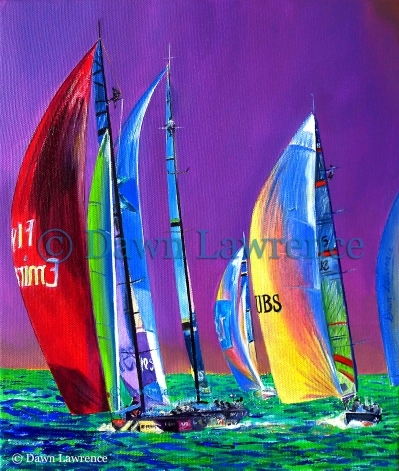 All prices are for unframed work.